Intuitive and aggressive handheld scanning performance. 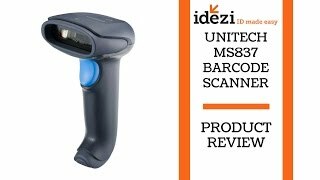 Simple operation, user-friendly ergonomics and excellent reliability, the Unitech MS837 handheld laser barcode scanner is ideal for a broad range of market applications such as menu scanning, point-of-sale, document processing and inventory control. High Cost-effectiveness: Enjoys superior performance at very competitive price, the performance of a laser scanner bought at the price of a red-light scanner. Ergonomic Design: Fits comfortably in any user’s hands to reduce the fatigue of long-time operation. With advanced laser scanning technology, MS837 has a longer working range and a wider scan field than a typical CCD device. 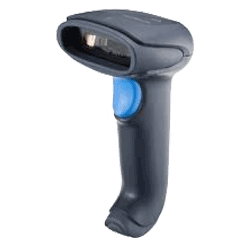 Pulsing-laser-line switch allows users to easily target the desired barcode and complete data transmission with the press of a single button that helps users to operate efficiently. It also saves operating time of the laser engine for long up-time use. These powerful features enable users to operate smoothly and keep maximum productivity.